Our solar system began forming within a concentration of interstellar dust and hydrogen gas called a molecular cloud. The cloud contracted under its own gravity and our proto-Sun formed in the hot dense center. 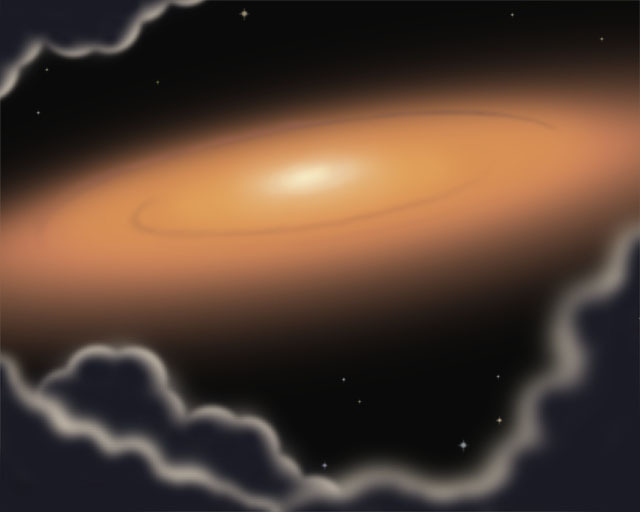 The remainder of the cloud formed a swirling disk called of the solar nebula.